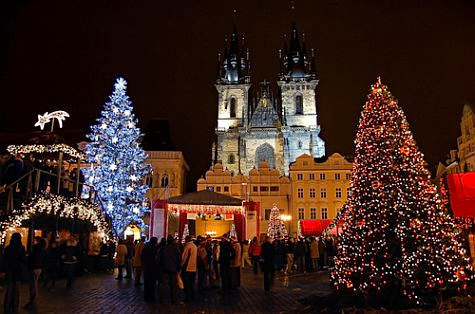 There’s nothing quite like a Christmas in Prague. The gleaming decorations, sausage-smoke filled streets and warm, vibrant atmosphere complimenting the Gothic and baroque architecture that has become a hallmark of one of Europe’s most charming cities. All these things scream Christmas charm! Yuletide traditions vary throughout the world but the Czech Republic is truly steeped in Christmas history. In honour of the Good King Wenceslas who once ruled the land, celebrations begin on the 5th of December when St Nicholas is said to have climbed down to earth from the heavens. With a whole host of events occurring throughout the festive period, we guide you through some of the must-do’s to ensure you embrace every drop of Prague’s Christmas spirit. Known as ‘Vanocni trh’, the Christmas market has become a central part of celebrations in the Czech capital. Set in the historic Old Town quarter and Wenceslas Square, the streets are lined with an array of traditional huts, hearty food and delightful beer. Running from the end of November to the end of December, the ‘Vonocni trh’ delivers a unique insight into Eastern-European culture and is a must visit if you’re planning on heading over there this winter time. If you are shopping in Europe to complete your gift giving list look no further. Markets are easy to find throughout Europe but many people will vouch for the fact that Prague's markets are full of the most diverse collections. Prague is renowned for showcasing some of the world’s most extraordinary operas throughout the year and December is no different. With a string of stunning opera houses across the capital, Prague hosts performances from some of the greatest stage performers; reciting the likes of Mozart’s Cosi Fan Tutte as well as Puccini and Strauss. The Prague State Opera venue is the most impressive of them all. 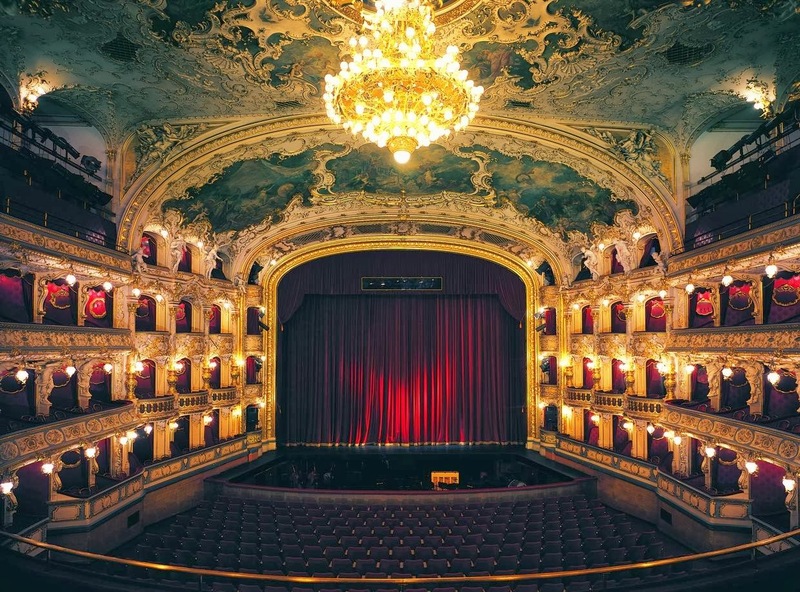 Dating back to the late 19th Century, the opera house opened in 1992 and its breath-taking auditorium is a masterpiece in itself. 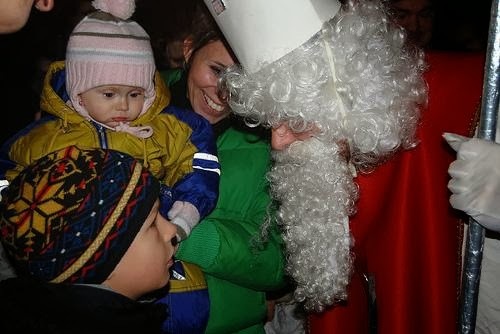 Celebrated each year on December 5th, St Nicholas Day, also known as Mikulas Day, marks the beginning of the Christmas period for the Czech people. As you stroll down the streets of the city on this momentous occasion you will discover many interesting characters along the way with St Nicholas, the Angel and the Devil parading the streets asking children if they have been good this year. Rewarded with sweets if they have been good, make sure if you’re with your children, they behave, or they may end up with a sack of potatoes! If you’re looking to retreat from the cold for a few hours then the thrill of the green velvet may lure you in. Head over to the Golden Prague Poker Casino in time for the Eureka Poker Tour. A chance to earn some holiday spends, the event runs in mid December and you can qualify online before you travel out. 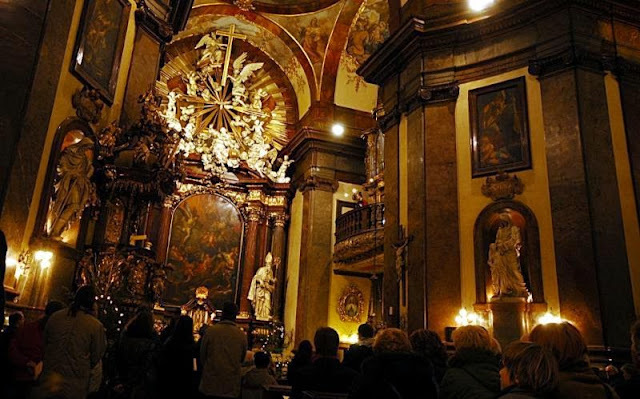 Midnight mass on Christmas Eve is an important part of Czech life. Hosted at the incredible Gothic-style Prague Castle, the service sees hundreds of worshippers welcome in Christmas day each year. The service is spoken in a variety of languages, and all are welcome regardless of background or creed, so you won’t feel out of place. This post makes me wish my family could have spent Christmas in Prague! Hopefully some of the Christmas charm will still be on display when we vacation there in the New Year!